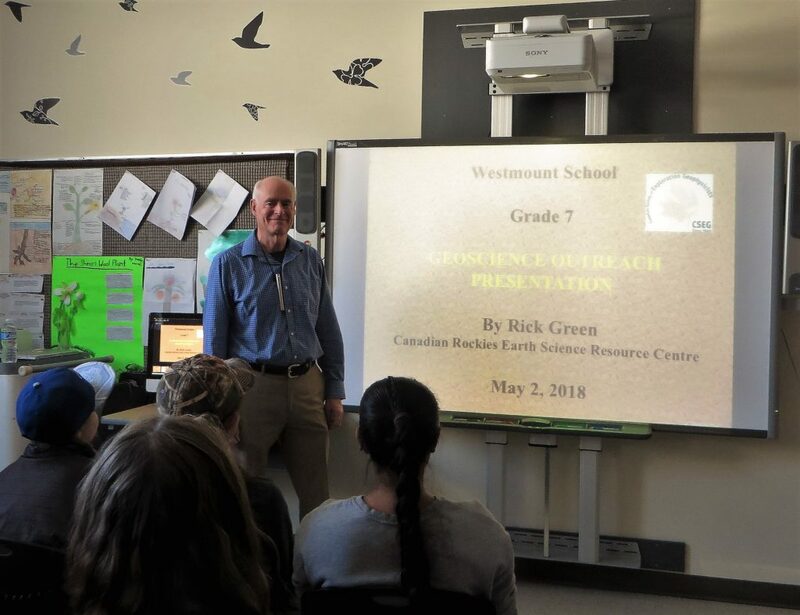 CRESRC has been making geoscience presentations (powerpoint) to grade 7 students at Westmount School for the last 5 years. 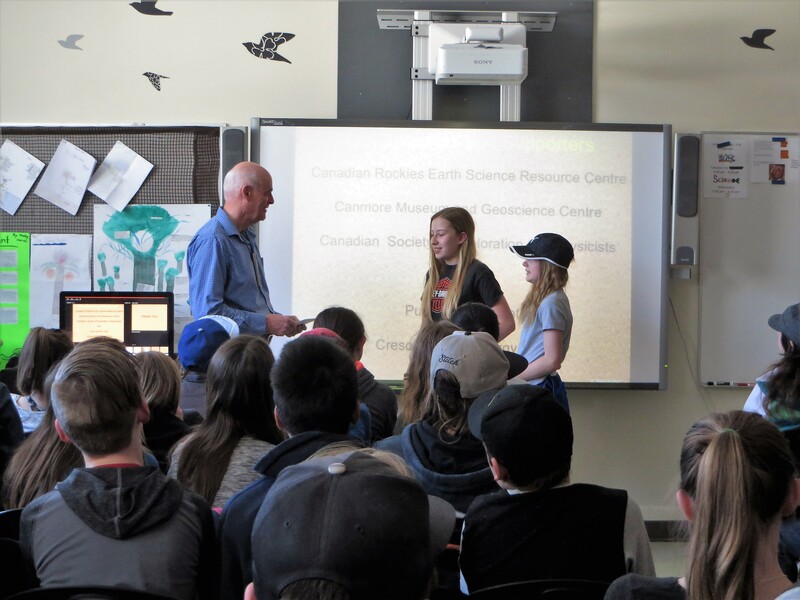 On May 2, Rick gave a 1 hour presentation to ~70 grade 7 students. 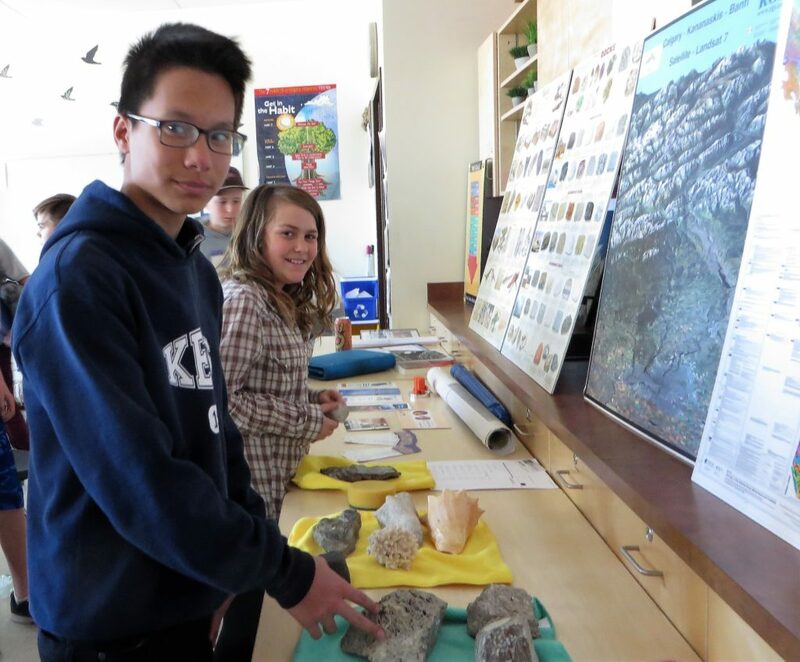 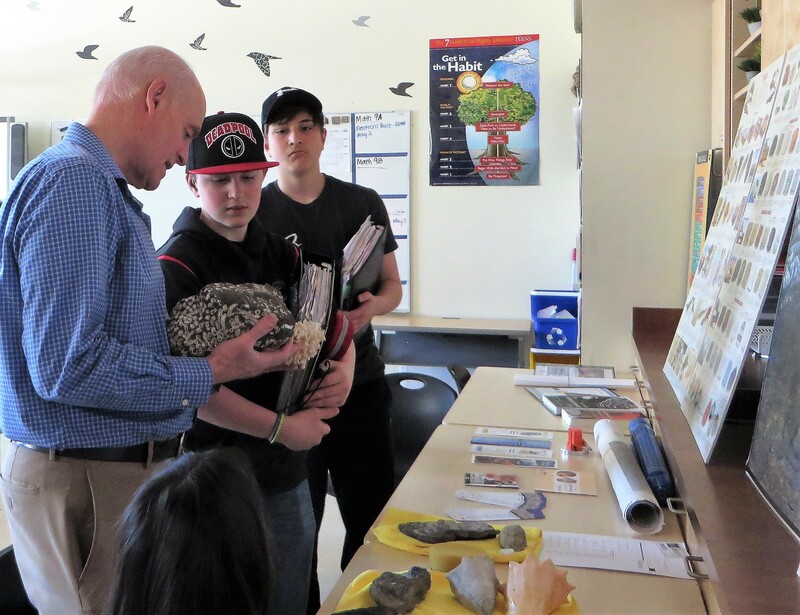 Grade 7 is the main time for students to learn about the geology of the Earth in the Alberta school curriculum. 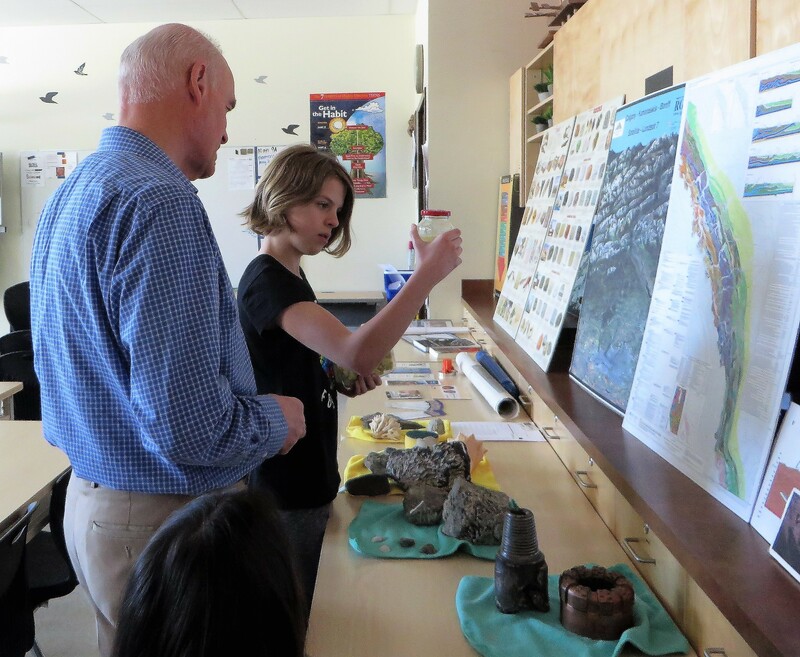 A number of geoscience posters were set up along the side of the room for further discussion after the presentation which ended with the lunch bell. 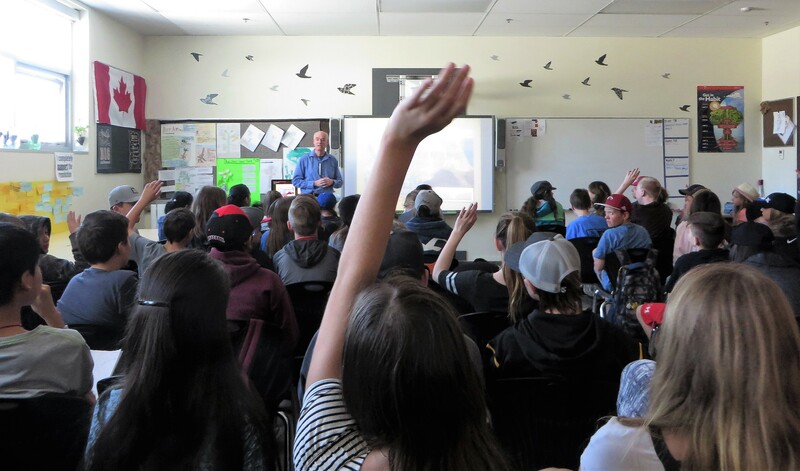 A number of students stayed part-way through their lunch period to ask question and learn more.